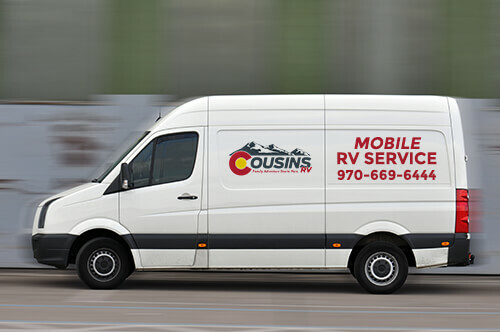 Cousins RV offers convenient mobile RV service for RV’s and trailers. Let us come to your residence, storage facility, campground or wherever you and your family need our assistance. No need to take time off work to bring your RV into a service facility, let us come to you! A mobile service fee will apply. Covering most RV repair in the field. Pickup and delivery also available for body work and or more extensive work where a repair bay is needed.